Just like so many other people out there, I am a fan of Ornella Muti. One of the most visually striking actresses of all time, Ornella Muti has an instant appeal. She is also quite charming and never more so than in the delightful 1981 comedy Innamorato Pazzo (aka Madly in Love). 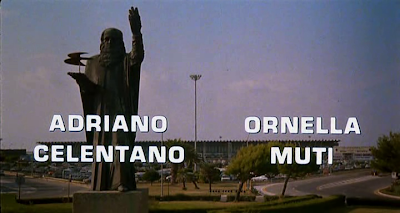 The movie (a hilarious riff on the oft-used princess pretends to be a normal person for a day scenario) is a great showcase for Italian comedic actor Adriano Celentano as well as for the charm and beauty of Ornella Muti.